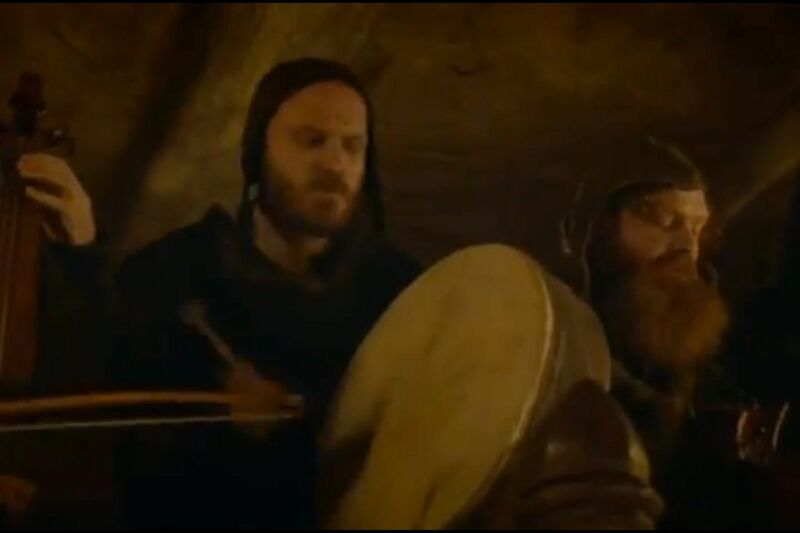 Most of the celebrity cameos on Game of Thrones have been of the “unnamed extra” variety (which is why the Ed Sheeran debacle stood out so much). You wouldn’t know those were the dudes from Mastodon, or New York Mets pitcher Noah Syndergaard, or Coldplay drummer Will Champion unless you were specifically looking for them. For instance, did you realize a star of one of television’s longest-running and funniest shows was in the season eight premiere, “Winterfell”? Because I didn’t, until Rob McElhenney posted this on Instagram. (You’ll have to head to the source for the photo — it’s graphic). Yup, that’s Mac from It’s Always Sunny in Philadelphia, right after getting shot in the eye during Theon’s rescue of Yara on Euron’s ship. “Don’t blink,” wrote McElhenney, who’s lived an extraordinary life. Outside of creating Sunny, the “good solid dude from South Philly” (note many of those, tbh) also “had an amazing upbringing with an unusual but loving family, a Catholic school upbringing, and bizarre college education.” McElhenney’s guest spot also continues the love affair between Thrones and Sunny — co-showrunners David Benioff and D.B. Weiss wrote an episode (“Flowers for Charlie”) of the FXX comedy, and appeared as bored lifeguards in another episode. It’s a shame Danny DeVito hasn’t played an Unsullied soldier, but there’s still time. Martin Starr, from Party Down, Freaks and Geeks, and Silicon Valley, may have also been one of the victims of Theon’s rescue, but it’s hard to tell with how dark the scene is. Not that I care. I’m only into hard sci-fi, not fantasy bullsh*t.
Is There A Jaime/Bran Showdown In Our Midst?